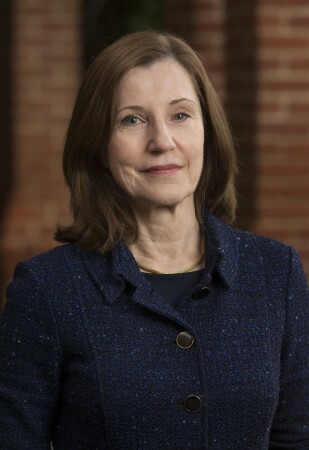 Elizabeth Grimm ’71, a member of the Randolph College Board of Trustees, was recently recognized among women leaders in science at the Ninth Annual Women in Science Excellence (WISE) Luncheon. Sponsored by BioHouston, Inc., the event celebrates the achievements of women in the Houston, Texas area who have demonstrated extraordinary leadership in science and technology. Grimm, who was recognized for her work at the University of Texas, was one of four honorees at this year’s luncheon. She is a professor and the Waun Ki Hong Distinguished Chair in Translational Oncology. She also serves as deputy division head for research affairs for the division of cancer medicine at the University of Texas M.D. Anderson Cancer Center. BioHouston is a non-profit, tax-exempt 501(c)3 corporation founded by Houston area academic and research institutions whose goal is to establish the Houston region as a vigorous global competitor in life science and biotechnology commercialization.